It is important to have a high awareness of occupational health and safety in the reduction and prevention of occupational accidents. In this study, the awareness of metal sector employees working in Konya province on occupational health and safety issues was investigated. It is aimed to learn the thoughts and opinions of the employees, to measure their satisfaction and to analyze the situation of occupational accidents. The study was conducted between March and April 2018 with the help of a questionnaire applied to 204 employees working in 9 different enterprises. Through the survey, information and education, occupational safety awareness, employee behaviors, role of OHS professionals and workplace environment were taken into consideration. As a result of the study, it has been seen that 70 of the employees in the metal sector in Konya have experienced occupational accidents during a certain period of their working lives. The professional experience, age and educational status of the workers who were involved in occupational accidents were analyzed. Despite the fact that about 52% of the participants in the study had an occupational accident, the average of the answers to the questionnaire was 3.64 and the "agree" likert item was obtained. According to this situation, employees or business owners are thought to have been affected by the mistakes they have made in the past in terms of occupational health and safety. Bilgin, M. B., 2001, Kaynak işlerinde güvenlik ve sağlık sorunları, Pamukkale Üniversitesi. Camkurt, M. Z., 2007, İşyeri Çalişma Sistemi ve İşyeri Fiziksel Faktörlerinin İş Kazalari Üzerindeki Etkisi. Dursun, S., 2013, İş Güvenliği Kültürünün Çalışanların Güvenli Davranışları Üzerine Etkisi, Sosyal Güvenlik Dergisi (SGD), 3 (2). Girard, S. A., Picard, M., Davis, A. C., Simard, M., Larocque, R., Leroux, T., & Turcotte, F. (2009). Multiple work-related accidents: tracing the role of hearing status and noise exposure. Occupational and environmental medicine. Karasar, N., 2007, Bilimsel Araştırma Yöntemi.(17. Baskı), Nobel Yayın Dağıtım Ltd, Şti. Ankara. Kaymaz, Ö., 2014, Kaynak İşlerinde İş Kazasi Ve İşe Bağli Sağlik Problemlerine Neden Olan Faktörler Ve Kkd Kullaniminin Bu Faktörlere Etkileri Üzerine Çevresel Ve Teknik Araştirma. Kirschenbaum, A., Oigenblick, L., & Goldberg, A. I. (2000). Well being, work environment and work accidents. Social Science & Medicine, 50(5), 631-639. Lingard, H., & Rowlinson, S. (2004). Occupational health and safety in construction project management. Routledge. Milczarek, M., Brun, E., Houtman, I., Goudswaard, A., Evers, M., Bovenkamp, M., ... & Morvan, E. (2007). Expert forecast on emerging psychosocial risks related to occupational safety and health. European Agency for Safety and Health at Work. Mojapelo, J. (2016). Employees' adherence to the Occupational Health and Safety Act in the steel manufacturing sector (Doctoral dissertation). Mojapelo, J., Mafini, C., & Dhurup, M. (2016). Employee perceptions of occupational health and safety standards in the steel industry. International Journal of Social Sciences and Humanity Studies, 8(2), 106-121. Neal, A., & Griffin, M. A. (2004). Safety climate and safety at work. The psychology of workplace safety, 15-34. Onaran, C., 2008, Makine imalat sektöründe meydana gelen iş kazaları ve meslek hastalıklarının mevcut mevzuatlar çerçevesinde değerlendirilmesi, Pamukkale Üniversitesi Fen Bilimleri Enstitüsü. Shikdar, A. A., & Sawaqed, N. M. (2003). Worker productivity, and occupational health and safety issues in selected industries. Computers & industrial engineering, 45(4), 563-572. Spieler, E. A. (1994). Perpetuating Risk Workers' Compensation and the Persistence of Occupational Injuries. Hous. L. REv., 31, 119. Sulak, S. A. (2016) Okul Sağlığı ve Güvenliği. 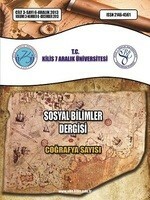 Eğitim Bilimlerinden Yansımalar, Çizgi Kitabevi, 45, Konya, ISBN: 978-605-9427-19-7. Topçuoğlu, H. ve Özdemir, Ş., 2003, İş Sağlığı ve Güvenliğinde Davranış Değişikliği Yaratma Süreci, İş Sağlığı ve Güvenliği Kongresi, Yayın no E/2003/317, Adana, 2-3. Uslu, V., 2014, İşletmelerde iş güvenliği performansı ve iş güvenliği kültürü algılamaları arasındaki ilişki: Eskişehir ili metal sektöründe bir araştırma, Eskişehir Osmangazi Üniversitesi. Verbeek, J., Pulliainen, M., & Kankaanpää, E. (2009). A systematic review of occupational safety and health business cases. Scandinavian journal of work, environment & health, 403-412. Yılmaz, Ö. G. D. F., 2013, İş Sağlığı ve Güvenliği Kanunu’nda İşveren ve Çalışanların Yükümlülükleri, Toprak İşveren, 97, 11-19.